Now that the days are getting more and more grey I really love to start the day with a warm breakfast. After a walk through a dark morning with our dog Whoopie through lightly rain I think a porridge is a perfect way to warm up and to keep the cold out. It is also a healthy breakfast. That makes it even more valuable for me. What about you? How do you start your day? Why not having a porridge with berries? 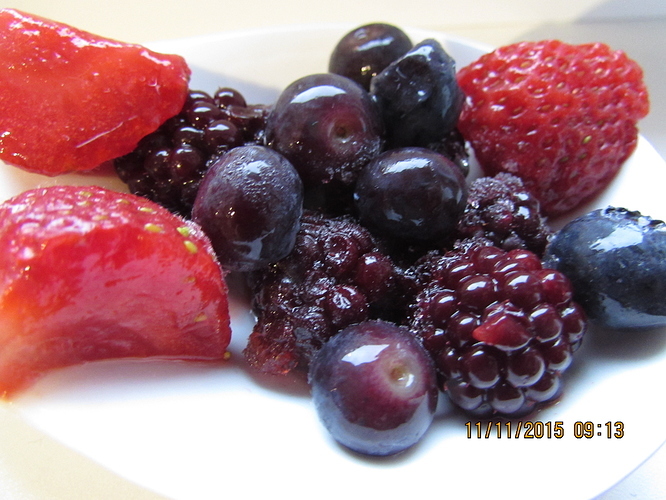 As fresh ones are not available at the moment I prepare mine with frozen blackberries, blueberries and strawberries. 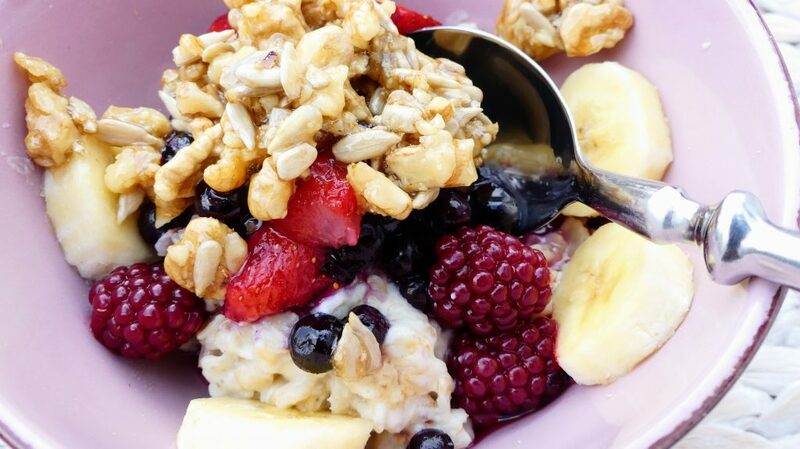 If fresh berries are available, you should of course prepare the porridge with them. This porridge serves one person. I hope I could attract your attention. 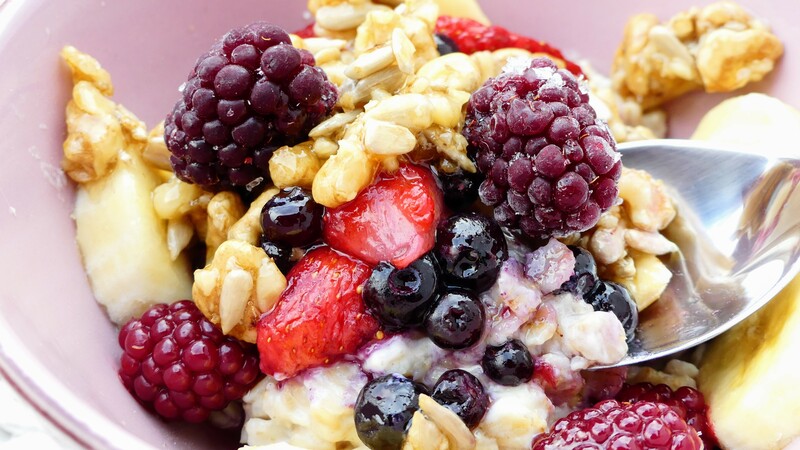 Enjoy your healthy and delicious porridge with berries! 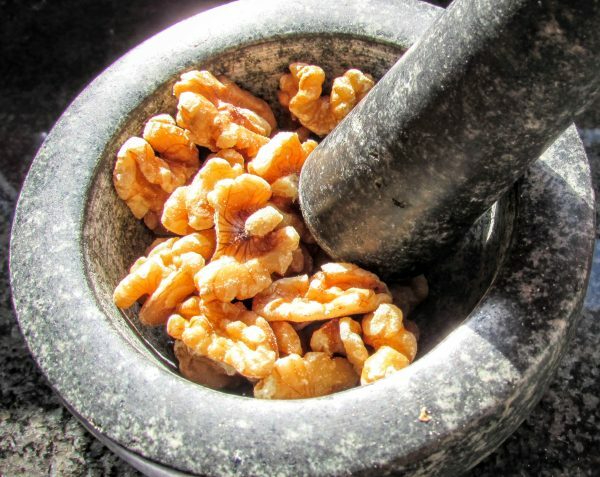 One last remark before we start cooking our porridge, this recipe is also available in German. Just click here. Get the frozen berries out of the fridge and allow them to defrost. Peel the banana, cut it into halves, and cut one half into slices. If you use fresh berries, wash and dry them. If necessary, cut them into pieces. Pour the milk into a saucepan, add the pinch of salt, and bring it to the boil, stirring occasionally. 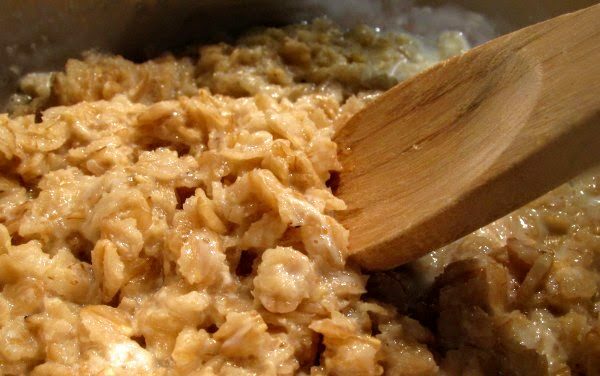 Add the rolled oats to the boiling milk and let it simmer for 4-5 minutes, stirring halfway. In the meantime pour the honey into a pan and heat it at medium heat. 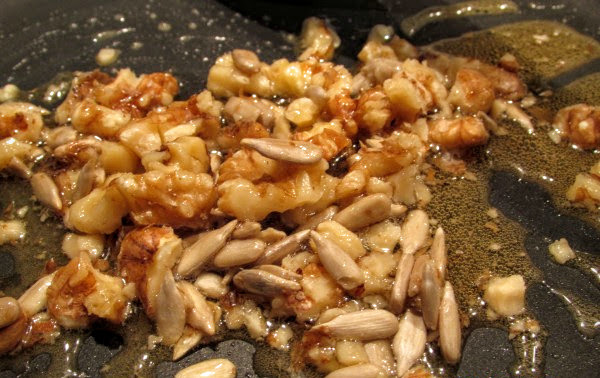 When the honey gets liquid add the walnuts and sunflower seeds. Stir occasionally and let it caramelize. 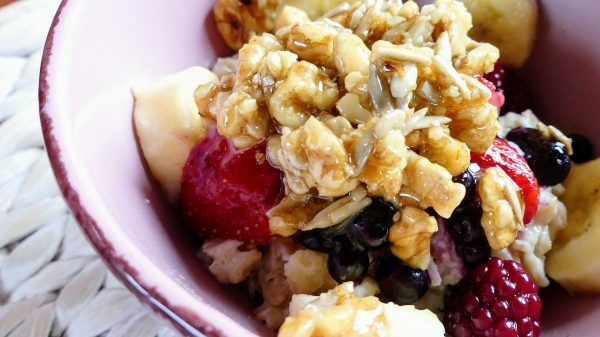 Put the porridge into a muesli bowl, top it with the berries, the banana slices and with the caramilized walnuts and sunflower seeds.